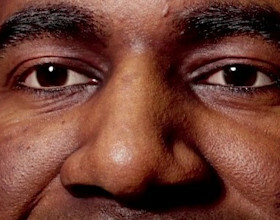 Originally posted on 4 December 2018. Scroll down for news of the 3ds Max version. Soft8Soft has released Verge3D 2.9 for Blender, the latest version of its framework for converting Blender scenes into WebGL-based 3D web applications. The update adds support for Blender 2.8 and its Eevee real-time render engine, a new HDR rendering pipeline, and the option to control post-processing effects via Verge3D’s internal visual scripting system. The biggest change this time round is support for Blender 2.8, the major upcoming update to the software, which shipped in beta last week. The update is API-breaking, so Soft8Soft says that it will be supporting both the current stable 2.79 build and the 2.80 betas during the transition period. Of the new features in Blender 2.80, the one most significant for Verge3D users is probably Eevee, the new physically based real-time render engine used in the Blender viewport. According to Soft8Soft, the viewport display should now be more consistent with the way scenes appear in a browser when published as web applications. You can see the kind of visual quality possible with Eevee and Verge3D in this new interactive online demo. The firm has now dropped Verge3D’s own internal render engine in favour of Blender’s native renderers – as well as Eevee, it supports Cycles and the old Internal GLSL render engine. Other new features of Verge3D 2.9 available when using either Blender 2.7x or 2.8x include a new HDR rendering pipeline with support for both standard HDR files and the Radiance RGBE file format. It is also now possible to control a range of post-processing effects, including bloom, depth of field and brightness/contrast adjustments, using Puzzles, Verge3D’s visual scripting system. Puzzles also gets new presets for modifying colour or parameter values in materials or background environments, and for identifying performance bottlenecks in shading networks. 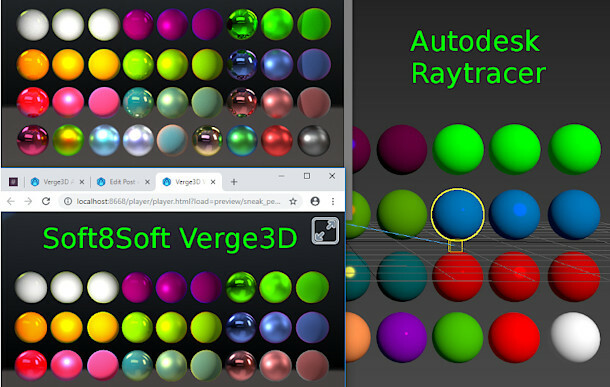 Updated 21 December 2018: Soft8Soft has released Verge3D 2.9 for 3ds Max. Like the Blender edition, it introduces the new HDR rendering pipeline and Puzzles-controlled post effects. Obviously, it doesn’t support Eevee, but physical materials have been updated for better consistency with 3ds Max’s ART render engine, and there is experimental support for Physical Sun & Sky Environment setups. 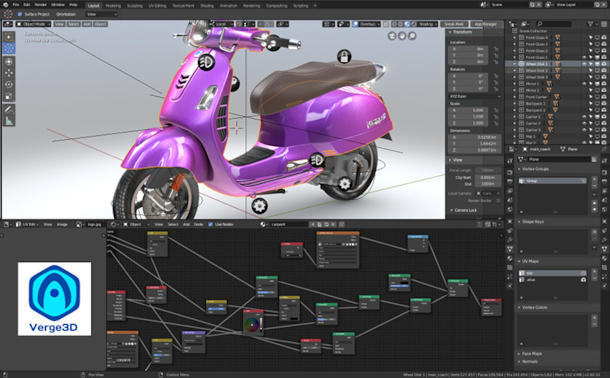 Verge3D 2.9 is available for 3ds Max 2015+, Blender 2.79 or the beta version of Blender 2.80.